Arrested for DUI as a Minor in Lubbock TX? Contact Nicky Boatwright, P.C. Driving under the influence of alcohol as a minor is a crime referred to as DUIM in Texas. Minors are defined as persons under the age of 21. Texas has a strict zero-tolerance policy for minors: any detectable amount of alcohol in the minor's system is enough cause for an arrest and/or charge. To note, a minor can also be charged with driving while intoxicated (DWI) if his or her blood alcohol content (BAC) is .08 or greater. First, DUIM can only be committed by a minor. Minors are defined as people under the age of 21 in the state of Texas. Second, minors are prohibited from consuming any alcoholic beverages, except under certain circumstances, including when in the visible presence of the minor's adult parent, guardian, or spouse. Though there are limited circumstances when a minor can drink alcohol, a minor is never permitted to drive under its influence, even if his or her BAC is below the legal limit (0.08 BAC) for adults. It is not a defense to a DUIM if you were legally drinking. Third, a DUIM refers to a minor who, after drinking, operates a motor vehicle or a watercraft. It is important to remind you that any detectable amount of alcohol is sufficient to charge a DUIM. According to the Texas Alcoholic Beverage Code § 106.041, driving under the influence of alcohol by a minor aged less than 17 years is a Class C misdemeanor for a first and second offense. Additionally, according to Texas Family Code § 51.03, a third offense can result in Delinquent Conduct by Minor 10 to 17 years of age, which indicates a need for supervision whereby the case could be processed in civil court. The consequences of driving with any detectable amount of alcohol in the person's system, if a minor, are serious in the state of Texas. A conviction could mean driver license suspension, community service, fines, and alcohol awareness courses. Separate from the court process, a minor charged with DUIM and whose specimen was found to have any detectable amount of alcohol will have his or her driver's license suspended through the Driver License Division. A first offense results in a 60-day suspension; a second offense results in a 120-day suspension; and a third and subsequent offenses result in 180-day suspension. If the minor refused to provide a specimen and any detectable amount of alcohol was found in the specimen, the minor's driver's license will be suspended for 180 days if a first refusal and two years if a second or subsequent refusal. If the minor is convicted of a DUI through the criminal court process, his or her driver license can be suspended for longer periods, depending on the circumstances and any prior convictions. Under Texas law, a first-time conviction for DUIM calls for not less than 20 hours and not more than 40 hours of community service. For minors previously convicted of a DUIM, the statute requires no fewer than 40 hours and no more than 60 hours of community service. This community service must be related to either education about alcohol or the prevention of misuse of alcohol. The community service component of a sentence for DUIM in Texas is required by statute. A DUIM as a Class C Misdemeanor is punishable by a fine of up to $500.00. 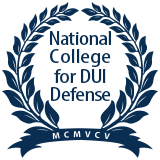 The minor, and possibly a parent, are required to attend an Alcohol Awareness Course for a first and second DUIM offense. If a minor who is not a child (10 to 17 years of age) is convicted of a third DUI offense, the penalties are stricter. Minors 17 years of age but under 21 years of age can be charged with a DWI and face harsher penalties if their BAC was .08 or greater. First Offense is a Class B Misdemeanor, and penalties include a fine up to $2,000, jail time between 72 hours and 180 days, and driver license suspension for one year. Second Offense is a Class A Misdemeanor, and penalties include a fine up to $4,000, jail time between 30 days and one year, and driver license suspension between 180 days and 18 months. Third or Subsequent Offense is a Felony of the Third Degree, and penalties include a fine up to $10,000, state prison for two to 10 years, and driver license suspension for 180 days to two years. If you are facing DUIM charges, you need an experienced attorney on your side. DUIM cases must be carefully reviewed to determine first whether the stop was proper, next whether there was probable cause to ask you to test, and finally, whether a test result is scientifically valid. An error at any stage in the proceedings could result in the dismissal of the charges or a reduction of the charges against you. DUIM cases have lasting consequences. Call Nicky Boatwright at 806–747–8002 or contact her online to discuss the facts and circumstances of your case.